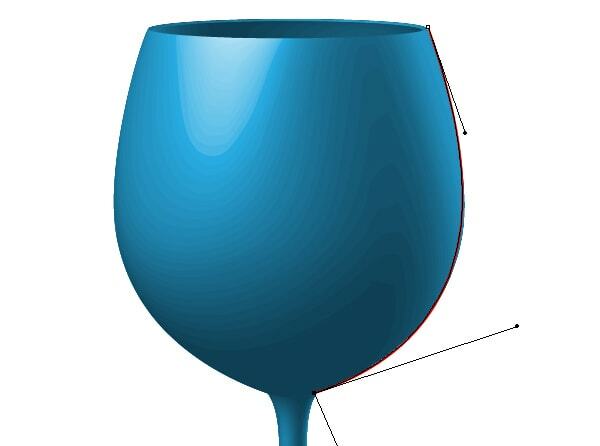 Sometimes we need to place some inscription on the surface of our 3D object or model the shape of hole in it. I always use the Map Art feature for that. Let’s see how it works. 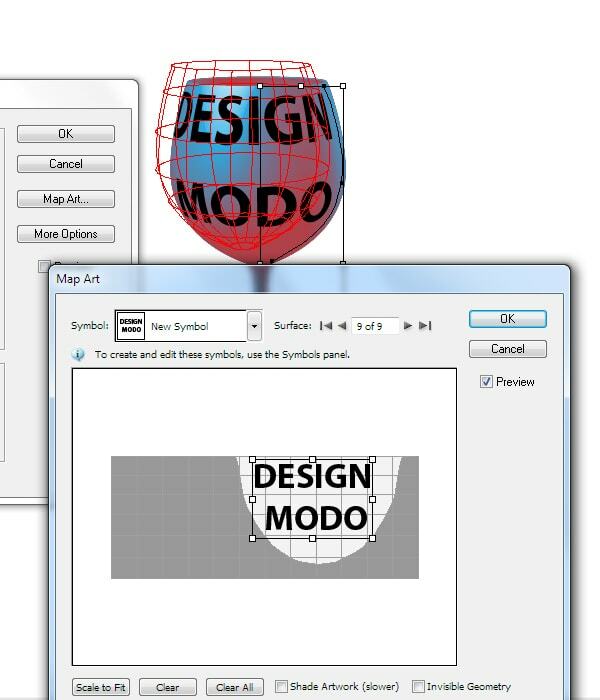 Create an inscription, and then save it as a new symbol in the Symbols panel. 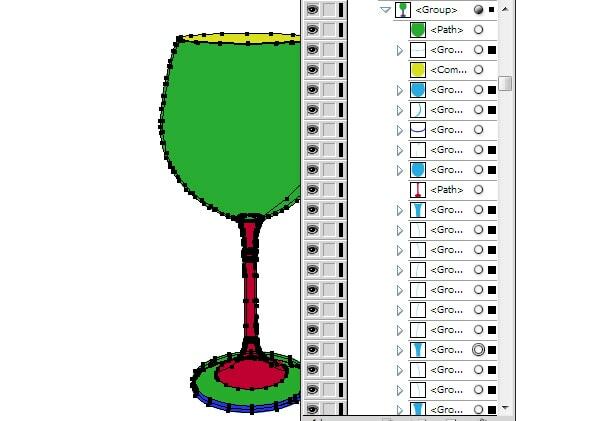 Let’s get back to our glass; open the dialog box with the effect parameters using the Appearance panel. Click on the Map Art in the dialog box. 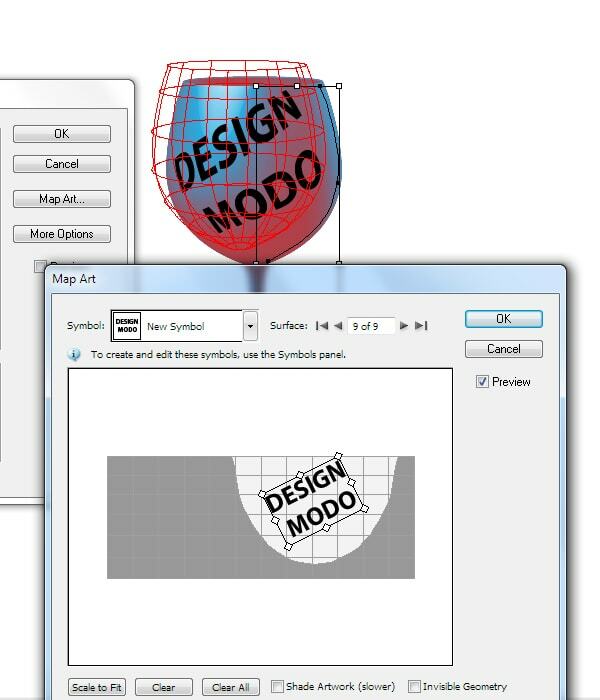 Switch between the surfaces in the Map Art dialog box in order to find the necessary surface. Select the earlier selected symbol from the pop-up window in the Map Art dialog box. 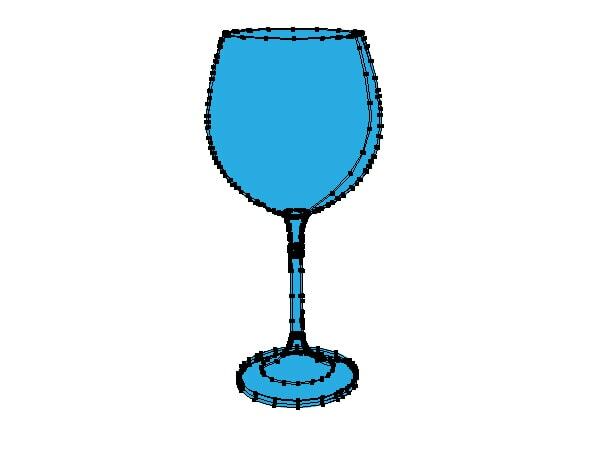 The visible surface of the object has light-gray background on the diagram below, that’s why place the symbol on such background. You can change the size and location of the symbol. I always use 3D objects as intermediate step in my work. 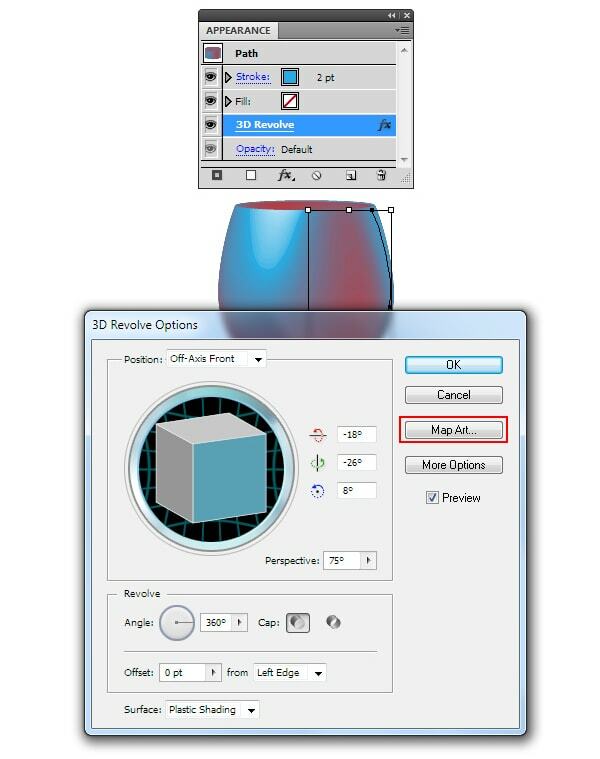 Despite of big amount of 3D effects parameters, to my point of view, it is difficult to reach the desired result. 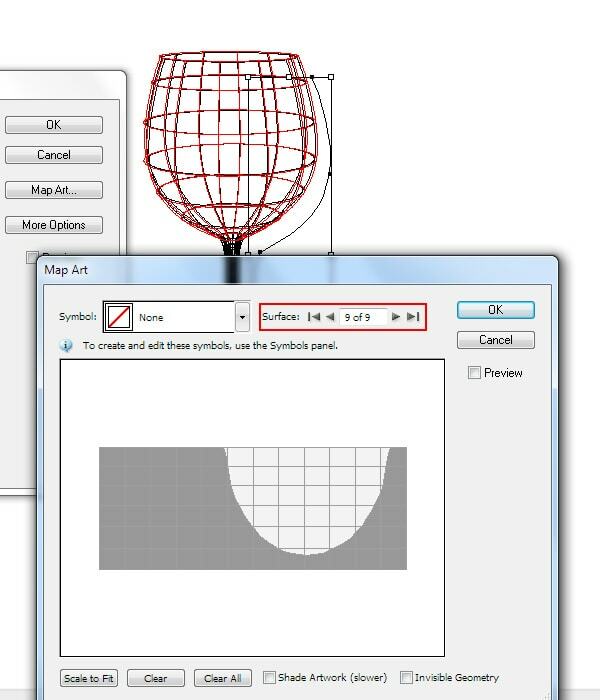 You can use the received model as the reference image and re-create the basic model forms with the Pen Tool (P) for example. 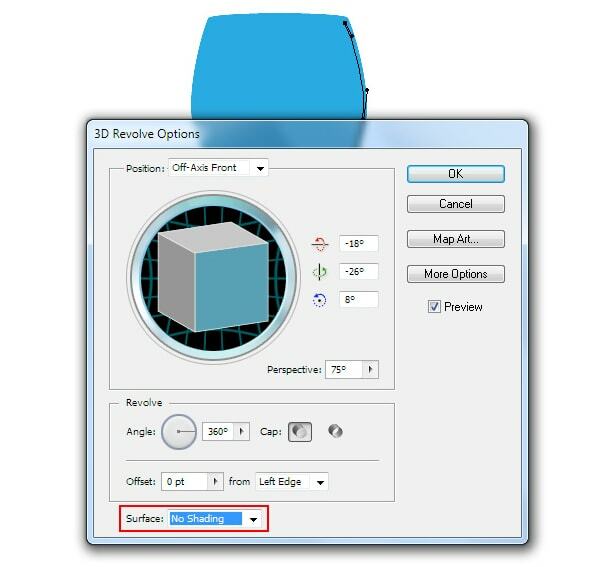 You also have an opportunity to convert 3D object into regular vector object. Let’s take a closer look at this method. 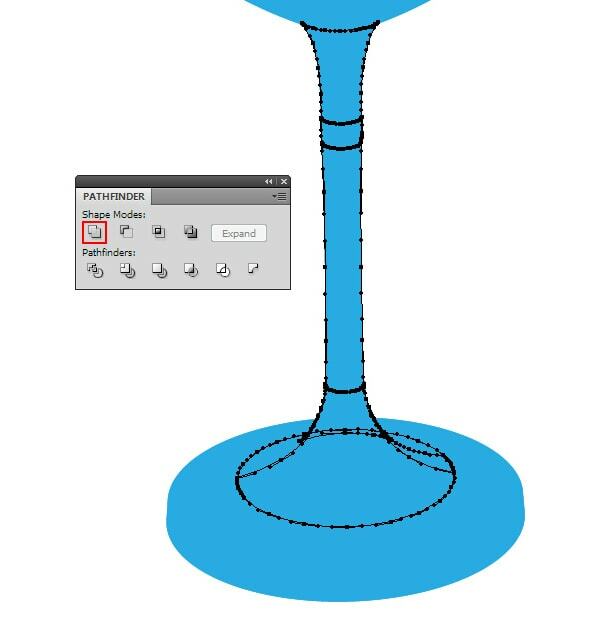 So, open the window with the effect parameters and choose the No Shading type of surface. Now go to the Object > Expand Appearance. 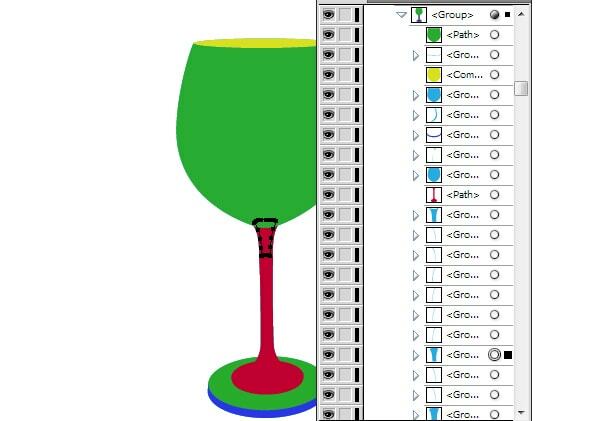 As the result, we got a group of vector objects. Most likely, the group will include the Clipping Masks. It depends on the complicity of model and it will make the further editing of objects complicated. That’s why, get rid of such elements. Go to the Object > Clipping Mask > Release, and then Object > Path > Clean Up. If the Release command in the Object menu is not active, then you’re lucky, i.e. your group doesn’t have any Clipping Masks. 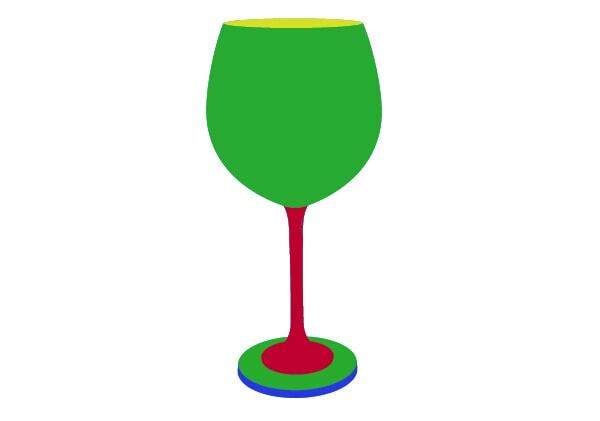 Now you need to combine the objects which correspond to one surface. The Unite in the Pathfinder panel command will help you in that. I recommend you to color the surfaces into different colors, this will help you not to get lost in large number of objects. After painting the main surfaces we still have a lot of unnecessary objects. 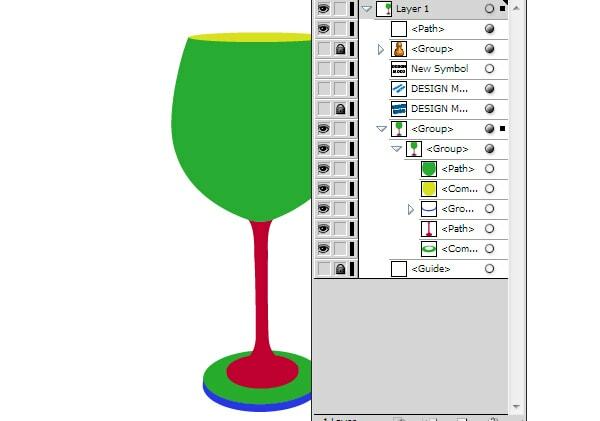 When you open the Layers panel you can be sure of that. Select one of this objects, and then go to the Select > Same > Fill Color, and press Delete after that. Now the object is ready for the further coloring. Methods of vector object coloring will be discussed in the next tutorial. 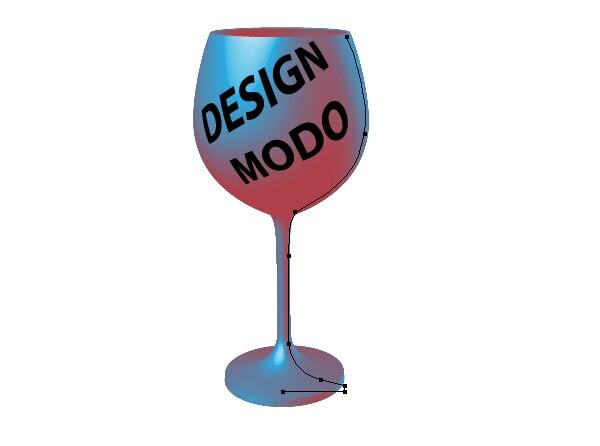 In conclusion to this tutorial, and especially for the fans of experiments, I’d like to underline that the usage of a couple of 3D effects to one object, as well as the usage of the Perspective Grid Tool to 3D objects will not lead to anything good. 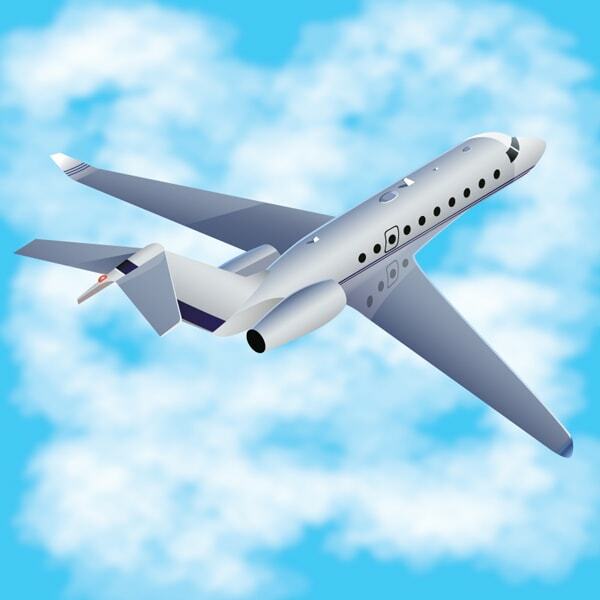 If you need to model a complex object, better to use 3D modeling software; although I once used to model plane in Adobe Illustrator. And now I should admit, it is very laborious work and it is not worth it. That is the most brilliant Illustrator Tutorial. Would definitely try this. Aah, memories ;-) In its first release, i build colorful easter-eggs with texture-maps. The performance was bad, but had a lot of fun. Anyone remembers the product “Adobe Dimensions 1.0” ? I Loved Dimensions (and several of the other KPT effects). If only illustrator had taken all of its tools instead of cherrypicking. I used to frequently build an entire city on one plane which could then be rotated/distorted/lighted as one group. I have yet to figure out a comparable way to do that with these illustrator tools. For more complex illustrations and multiple perspectives, I would suggest to use a specialized app like Cinema4D (and 3rd-party plugins). That gives unlimited possibilities. Thanks for Sharing this illustrator tutorials. Very inspirational! 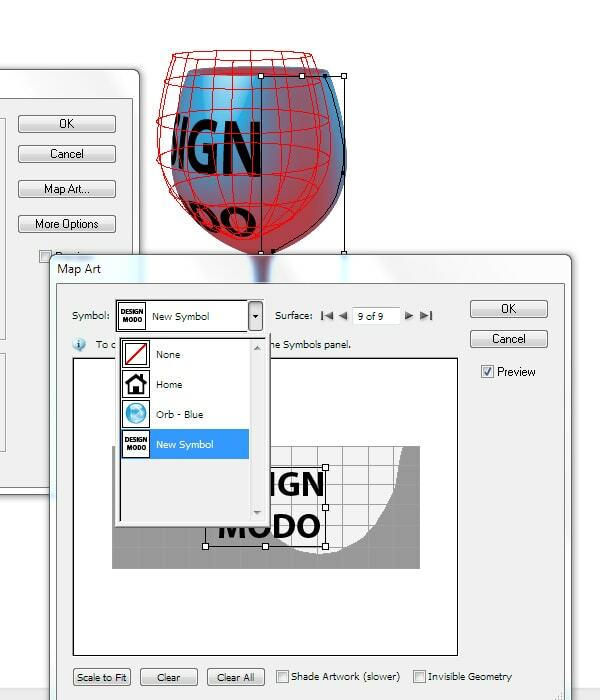 Great intro to Illustrator’s 3D tools. 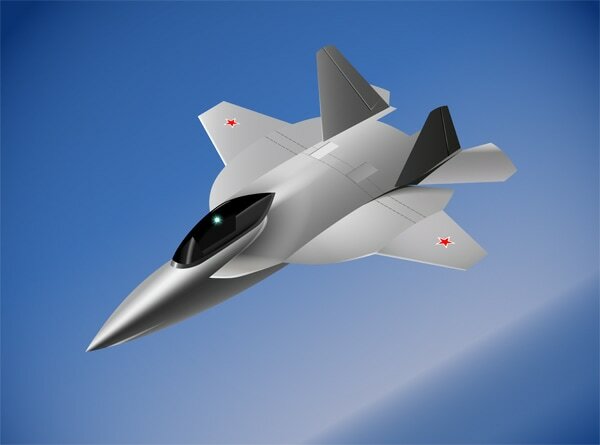 Would love to see more detailed and advanced tutorials on how the illustrations of the mailbox, jet fighter, and passenger plane were created. Hoe do you remove the effect? Problem: Can’t control Global Light anywhere on multiple objects at the same time. There’s also no way to only extrude, only use perspective, and isolate a bit more and save out a templated ‘Appearance’ for updates later down the line. It’s exciting this is even a possibility in Illustrator! I am just craving some additional control to make my Architecture diagrams really hit the mark!